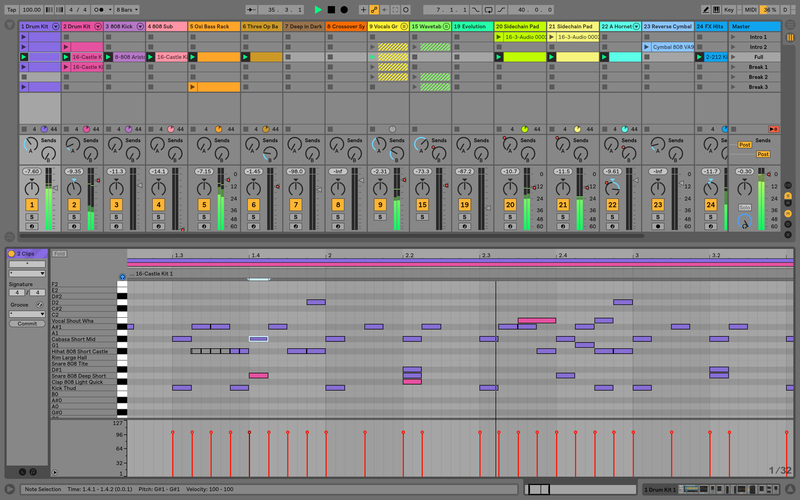 It’s been nearly five years since Ableton Live got a major update, with 2013’s Live 9 now looking increasingly long in the tooth next to its rivals. 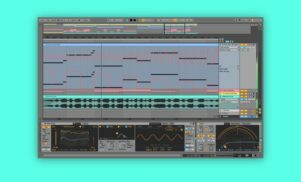 Thankfully, there’s not much longer to wait for the next full version of the popular software studio: Ableton has just announced that Live 10 will arrive early next year. The first impression of Live 10’s gigantic list of improvements is that it’s the most significant update to the DAW since Live 7 arrived in 2007. There’s a new synth called Wavetable, three new effects, lots of changes to help you make music faster and redesigned sound libraries. The design has been tweaked as well. 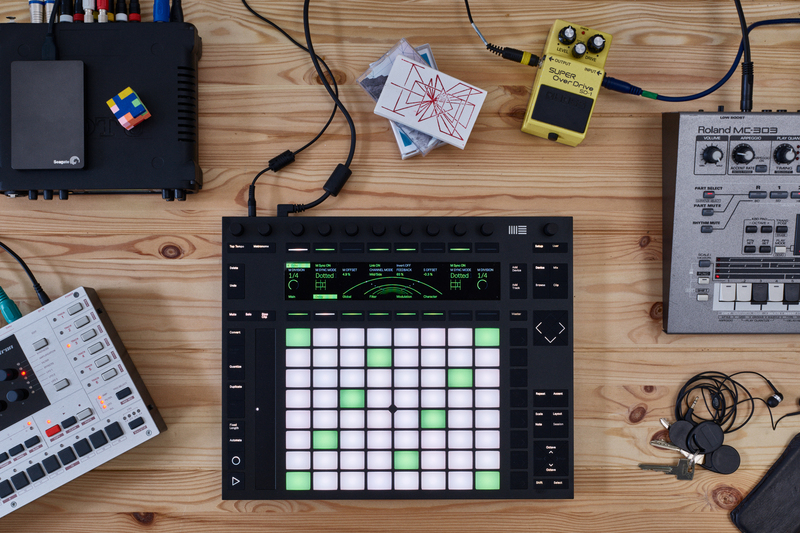 Live 10 also transforms the functionality of Ableton’s second-generation Push controller. 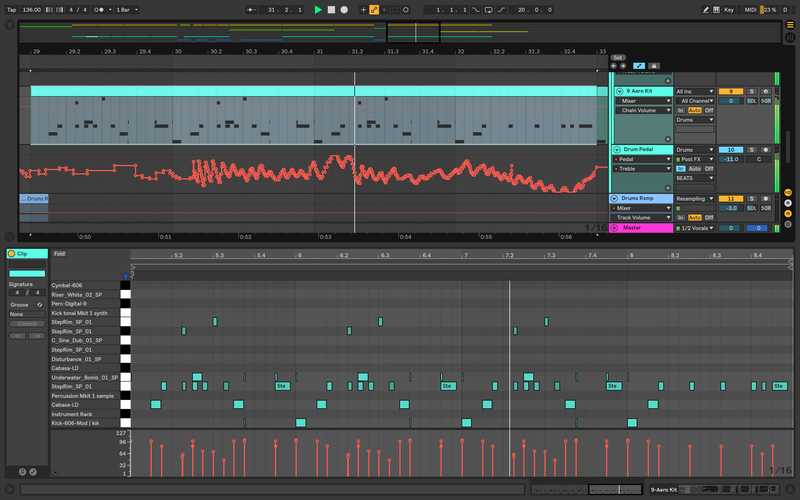 There’s a new step-sequencing layout that will display notes on the screen at the top. It’s a big change that will help the now two-year-old Push compete with NI’s brand new Maschine controller. However, the most significant change is that Max for Live is now fully integrated into Live. This toolkit for building synths, effects and more has been an add-on since it launched in 2009, but the integration means Max for Live devices will load faster and use less CPU power too. There’s a lot of new features to list, so there’s a breakdown of them all after the Live 10 intro video embedded below. It’s not immediately obvious, but Live 10 has a new look. There’s nothing radically different, but there’s a new font (the same one displayed by the Push controller) so everything looks a bit cleaner and more contemporary. There’s also some freshly optimized themes for better visibility in different situations (such as the darker theme below). The big new instrument is Wavetable, which, as the name suggests, is a wavetable synth that uses waveforms from analog synths and other instruments to model sounds. There’s a modulation system built in, along with modelled analog filters. Live’s Analog and Operator synths are fairly ancient now, but this looks like something that might be able to go up against relatively more modern instruments like NI’s Form and Xfer’s Serum. There’s also three new effects: Echo, which looks to be an experimental echo plugin with analog and digital qualities; Drum Buss, an “an all-in-one drum sculpting tool for adding warmth, adjusting transient response, injecting low end and more”; and Pedal, which uses circuit-level modelling to create virtual guitar pedals for overdrive distortion and fuzz. Ableton says these aren’t just for guitars but warming up vocals, drums and synths too. Every new version of every DAW promises “workflow refinements”, but Live 10 has one idea that sounds very intriguing: Capture, a new feature that “recalls an idea after it has been played and turns it into a MIDI clip with feel and groove intact”. • Multiple MIDI clip editing shows the content of two or more clips in one view for better control of the musical relationships in a song. • Arrangement View improvements such as nudging, time stretching, one-key zooming and drag-and-drop track duplication make editing faster and easier. • Browser Collections provide at-a-glance access to favorite or most-used musical elements. • Groups within groups improves Set organization even with lots of tracks and a detailed arrangement—multiple tracks and groups can be folded together for a simple overview. 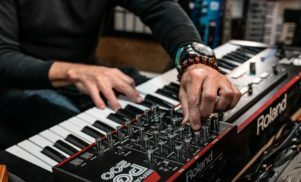 • Note chasing triggers MIDI notes even if playback starts in the middle—the note doesn’t need to be started from the beginning to hear pads or other sustained notes. • I/O Renaming lets producers easily select the right routing by labeling Live’s inputs and outputs to match the instruments and hardware in the studio. For anyone who still questions the quality of Live’s sound engine, there are a few improvements here. According to Ableton, Live 10 has improved gain range, a new Bass Mono feature in Utility, extended low frequency slopes on EQ Eight and a Split Stereo Pan feature that provides “more detailed control” when mixing. For anyone who can’t afford a copy of NI’s Komplete collection to get their hands on high-quality sampled instruments, the sounds that come bundled with Live Suite have always offered a good value alternative. Live 10 offers a re-designed version of the core sound library with “richer, more detailed sounds”; it’s also reorganized so it’s easier to find the sounds you want. This update includes four new sound packs that include synths, ultimate-sampled electric keys and drums. There’s also “Curated Collections”, sound packs that “capture the musical threads that tie together evolving styles and scenes”. No word from Ableton on what these scenes are, but it sounds like Ableton’s attempt at NI’s genre-specific add-ons for Maschine. The release of NI’s Maschine MK3 last month meant that Ableton’s Push controller was no longer the newest, most exciting all-in-one controller on the market. The addition of color screens didn’t just offer visual feedback like the Push, it went one better by adding the ability to look at sequenced notes in a clip. 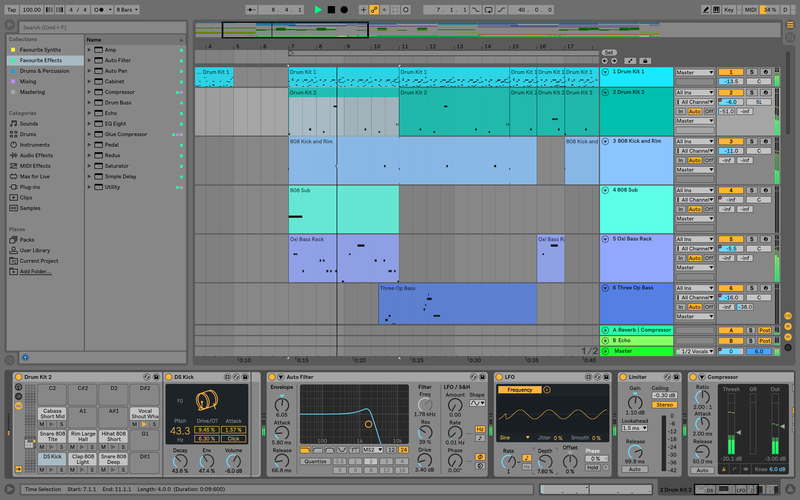 Despite the Push having a much narrower screen, Ableton has added the same function for Live 10 owners, offering a new layout for “simultaneous note sequencing and real time playing”. It’s hard to tell how well this will work until we can see it in action, but anyone considering a Maschine MK3 for its sequencer view might now be rethinking their options. 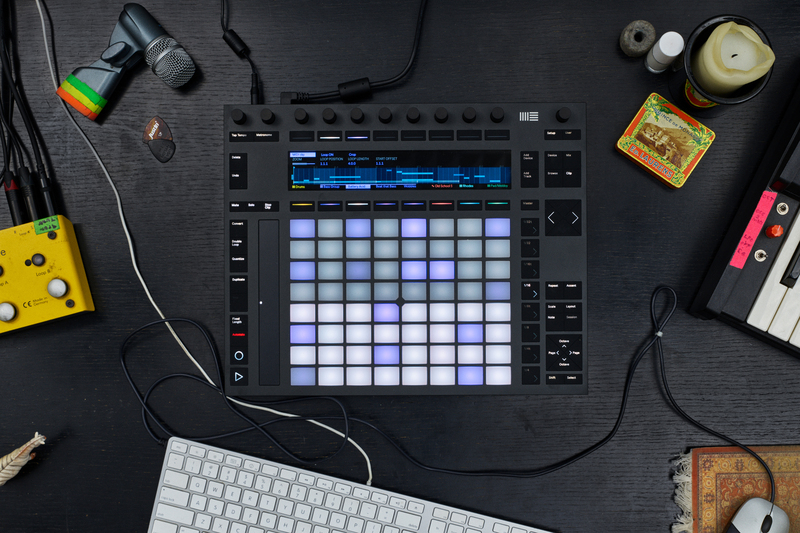 The Push’s 64 pads still make it a better all-rounder than the Maschine, and this new function may be the icing on the cake for those on the fence. 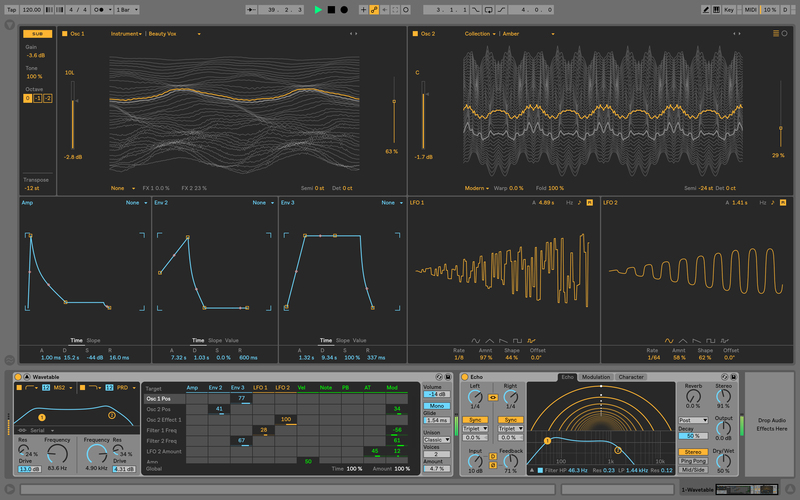 There’s a few more upgrades for Push owners: views that show the interfaces of Ableton devices such as Wavetable, Echo, EQ Eight and Compressor, and workflow improvements to layouts, building and extending patterns and track arming from the controller. It seemed a pretty good bet that full Max for Live integration was coming with Live 10 when Ableton acquired Max developer Cycling ’74 earlier this year. 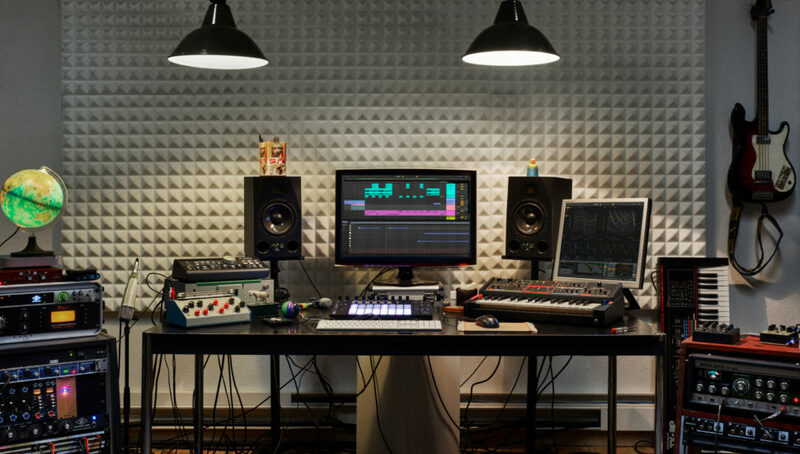 Ableton obviously believes that giving Live users the ability to make their own tools is just as important to giving them the means to make music; it’s the biggest change to Live in a long time and the feature that sets it apart from all its rivals. However, you’ll still need to buy Live Suite to get Max for Live – it’s not included with the standard version. Another big improvement to Max for Live is a new multi-channel audio routing capability for surround sound performances, something that will be popular with musicians working on sound installations and theaters. There’s also updated Max for Live devices (including upgraded Drum Synths), improved modulation and improved mapping if you want to go deeper with your patch creation. Finally, Max for Live devices can now send and receive SysEx data, making advanced MIDI-hardware integration possible. This means stuff like preset backup dumps and parameter controls over your hardware synths. You can use Max for Live to create your own custom control surfaces for external gear as well. The pricing for Ableton Live 10 stays at the same level as Live 9. Download versions for Live 10 cost €79 /$99/£69 for Live Intro, €349/$449/£319 GBP for Live Standard and €599/$749/£539 for Live Suite. If you’re one of the few people buying boxed software, those cost €99 /$99/£89 for Live Intro, €399/$499/£359 GBP for Live Standard and €649/$799/£579 for Live Suite. Existing users should check their Ableton accounts for individual upgrade prices. If you can’t wait until the release date, Ableton is offering 20% off the purchase price of Live 9 and a free upgrade to Live 10 when it launches. If you’re not already a Live owner, this is a great chance to get an early buyer’s discount. Ableton has said simply that Ableton will be released in “Q1 2018”. This could be anywhere from January 1 to March 31. Live 9 was released on March 5, 2013, so expect it to be nearer spring when Live 10 does arrive. Ableton is holding its annual Loop summit next week, so expect some first impressions of the software to slip out after that.